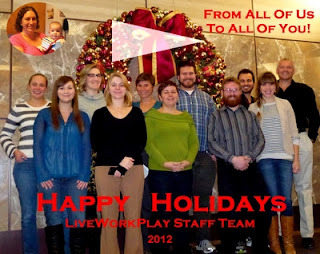 LiveWorkPlay - The LiveWorkPlay Blog - Ottawa Ontario Canada: Happy Holidays from LiveWorkPlay! 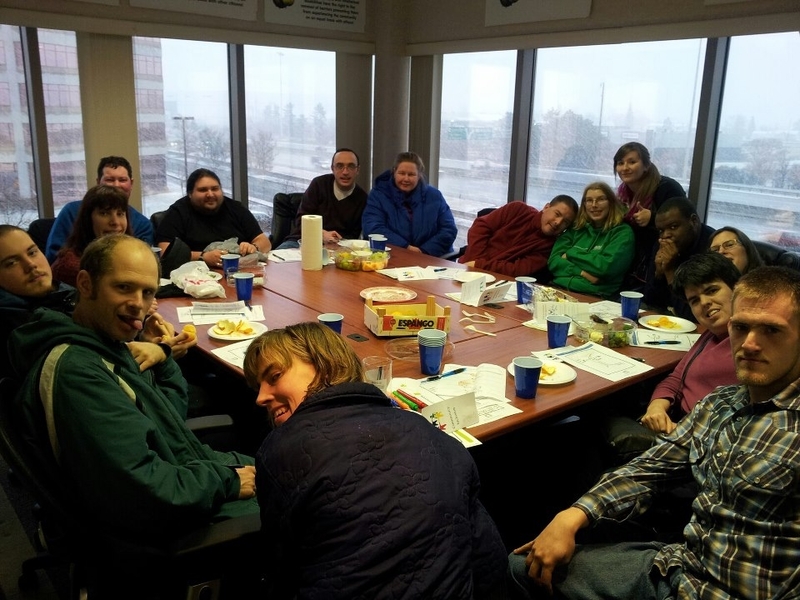 disabilities to live, work, and play as valued citizens! LiveWorkPlay New Year's Eve Dinner & Dance tickets are now available. Get your tickets soon to avoid disappointment! This year we are once again using a "members-only" format: seating priority is for members and relatives. The party is selling out fast, so don't delay, get your tickets today! Mark your calendar: Registered Disability Savings Plan (RDSP) workshop and panel on estates and trusts planned for February 9. Register now! LiveWorkPlay does not have a formal annual campaign for donors or a particular focus on donations in the holiday season, but December 2012 has certainly been a month to remember, with about $12,000 donated over a period of two weeks. We're putting a donation button next to this story in case you want to join in. We are including in this total $4750 from the REALTORS Care Foundation, with support for the application from the Ottawa Real Estate Board. We thank realtor David Keay (father of LiveWorkPlay member Peter) for bringing this opportunity to our attention. You've had another busy year at LiveWorkPlay and we're so pleased for the recognition you received with the Top 40 Under 40 Award! Congratulations also to seeing so many members make the transition to their own living quarters where the can strive for independence, provide momentum towards employment and volunteers, and generally engaging more with other citizens. We have enjoyed reading the blog entries and seeing the evolution of this fine organization that has at its core the highest respect for every individual. We are pleased to be able to donate this year and hope that in a small way this helps launch and support these important individuals into gratifying lives in the community. Keep up the fantastic work! The usual revelry of this event on December 7 was enhanced this year by two surprise celebrations. Our longest-serving volunteer Pennie Styan is leaving the Ottawa area in 2013, so she was celebrated for her 15 years of service. Pennie has volunteered with groups, as a match with individuals, in support of events, and as a member of the Board of Directors, where she is serving until her departure. A stealth operation had representatives from United Way Ottawa participating in the dinner as one of many partner organization guests, but staff member Elizabeth Cleland and volunteer Karen Soloman (CBC TV) were actually on hand to surprise Felice Miranda with a Community Builder Award. To say she was shocked is an understatement. Felice is known in the LiveWorkPlay community as the mother of member Gillian Gillespie and as a fundraising volunteer, but she has an active volunteer life all over the Ottawa community! 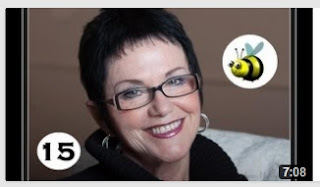 You can learn more about Felice and Pennie by clicking on the video links above right. Volunteer Coordinator Fran Childs recently hosted 7 new recruits for an orientation session and there's no sign that things will slow down! The "Project Capabilities" research team from Concordia University has started interviewing and filming with LiveWorkPlay members. Their timing is great, as many members have recently moved to homes of their own for the first time, or made a change from living with a roommate to living on their own. The United Way Ottawa has also rolled out the new Gift of Change initiative, which features local talent like our own Melissa Cunningham helping promote an alternative to traditional gift giving. With December 3 being United Nations International Day of Persons with Disabilities, the United Way Ottawa organized several media opportunities where Keenan could contribute in his role as a Focus Area Champion and share practical information from his 17 years of experience at LiveWorkPlay. Our partners at Mills Community Support organized a two-day think tank on community-based support and person-centred thinking that also included Community Living St. Marys plus other facilitators and researchers. "We hope this is the start of building a network of people and agencies that don't question the need for a community-based approach. The focus needs be on success for the people we are supporting," said an enthusiastic Julie Kingstone at the event's conclusion. We welcome Caitlin Fortier and Alex Darling to the LiveWorkPlay staff, having accepted contract positions as part of the Community Connector team. With Grace Hudson on maternity leave, George Kranitis finds himself in the position of team leader! There has been much to celebrate in the CC team, with a favourite moment being the huge turnout for an Inclusive Communities workshop (pictured above right). In other staff news, thanks go out to Allison Moores who served as leader of operations during Julie and Keenan's vacation break in November, and to Daniel Harris and Anthony Stratton who have (as reported by members and families) done an amazing job of helping many people settle into their new homes over the past two months - this has included everything from setting up utility accounts to helping Alex Winstan with the assembly of curious furniture. In partnership with Families Matter Coop, LiveWorkPlay hosted parent, speaker and advocate Darcy Elks on November 1st for an informative and thought-provoking workshop on Supported Decision Making! A take home message: Support for decision making should be respectful, non-controlling, non-stigmatizing and in as typical a way as possible! A contingent of 7 represented LiveWorkPlay in support of the Silver Anniversary of the Community Foundation of Ottawa. Chair of the Board Cecelia Taylor shares the news that with Pennie Styan and Dan Patton leaving the board early in 2013, recruitment of prospective new members is underway, with orientation and training opportunities already organized for February and March. 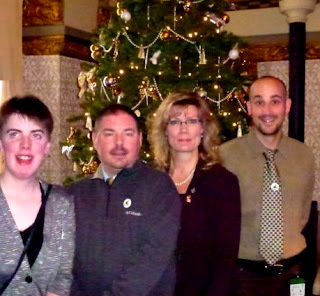 Thanks to the Canadian Association for Community Living and People First of Canada, LiveWorkPlay took part in a special event at the Parliament of Canada "Breakfast with MPs: Building an Inclusive Labour Market." This November 27 event included a short speech by member Emily Menard. The following day in a related event LiveWorkPlay co-leader Keenan Wellar presented at the 2012 Federal Policy Forum. With this year's theme being employment and disability, the Employment Supports staff team of Jen Bosworth and Ali Sochasky were pleased to attend with colleagues like Joe Dale from the Ontario Disability Employment Network. Congratulations to Ali who joins her LiveWorkPlay colleagues Keenan Wellar (initiate member) and Jennifer Bosworth (full member) as a Rotary Club of West Ottawa Rotarian! Is there a better way to put the "Play" in "LiveWorkPlay" than a trip to Club Med in the Caribbean? Supporting travel for our members is a longstanding tradition, and the next trip is right in the middle of January, a great time for a week on the beach! Stay tuned to our Facebook page for updates and news throughout the trip! 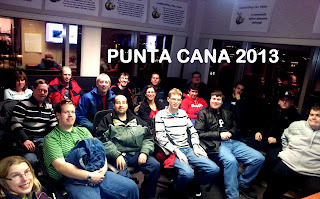 Pictured to the right, the group got together for a pre-trip meeting in December. There is a nice mix of experienced travelers and newcomers on this trip, and there wasn't much need for staff members to answer questions, because someone else with trip experience always had the answers! Please go to facebook.com/liveworkplayfans and click the LIKE button at the top. If you've already done that, be sure to invite your friends to do the same! Struggling to find our YouTube channel? 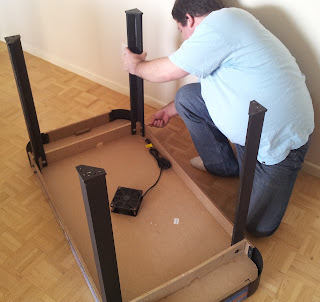 It doesn't get any easier to remember than this new URL: liveworkplay.tv! LiveWorkPlay also recently celebrated 5000 followers on Twitter! Be sure to follow us @liveworkplay and be sure to favourite and retweet our news! Our office is near St. Laurent Shopping Centre at 301-1223 Michael Street, K1J 7T2. 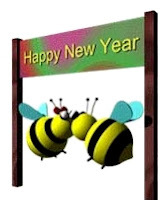 Our number is 613-235-9550 which also gives you access to an employee directory. To avoid disappointment, please make an appointment before dropping by. The office is really just a hub for our staff to do their work in the community, so it is not always certain someone will be available to receive you, or we may already be in a meeting. If you like what we are doing and you can afford a financial contribution, donate online and choose from a selection of options such as a one-time contribution or monthly donation. Just $10 a month is a great help! Don't forget you can also donate through the United Way Ottawa campaign.